Free Shipping Included! Global Men's Hooded Lightweight Windbreaker Rain Jacket Water Resistant Shell by Global Blank at Mas Fashion. Hurry! Limited time offer. Offer valid only while supplies last. 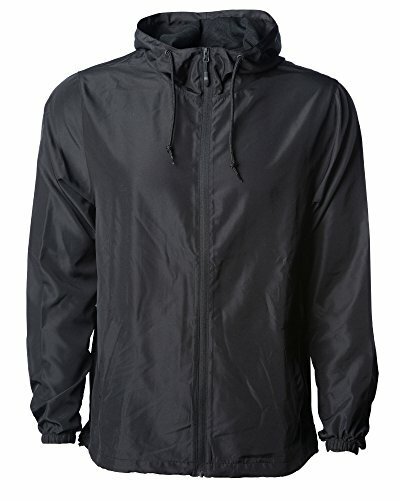 This Lightweight Packable Windbreaker Jacket is screen print friendly, and has water resistant 82gm 100% polyester fabric with zip front closure.